Herewith statement showing business transacted with respect to our joint interests at Cody, Wyoming, for the six months ending Dec. 31st, 1928. You will note there is standing to the credit of the Trustee, at this date, $14,064.86. 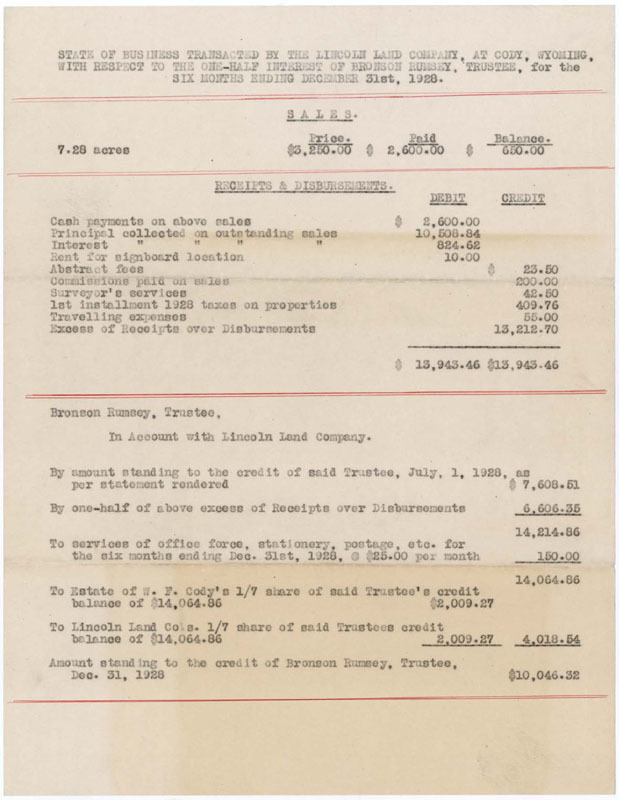 From this amount we have deducted $2,009.27, being the Lincoln Land Company's 1/7 share of the same, and a like amount which is the 1/7 share of the Estate of W. F. Cody. 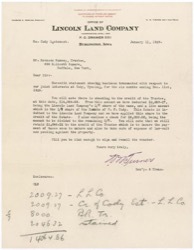 This Estate is indebted to the Lincoln Land Company and we have applied this share to the credit of the Estate. I also enclose a check for $8,000.00, being the amount to be divided to the remaining 5/7. You will note that we still retain $2,046.32 to the credit of the Trustee which is to insure the payment of taxes soon to mature and also to take care of expense of law-suit now pending against the property. Will you be kind enough to sign and remail the voucher. 2009.27 - L. L. Co.
2009.27 - Cr. Of Cody Est. 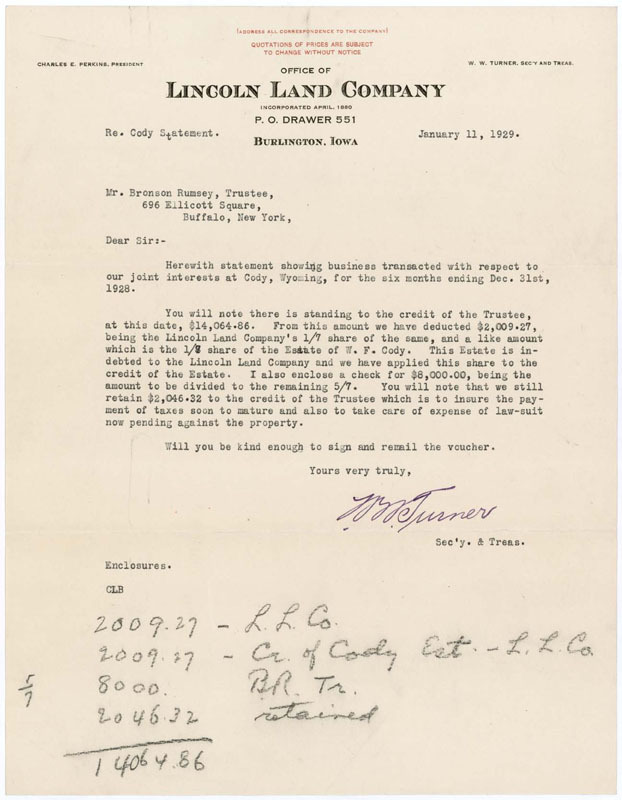 - L. L. Co.
State of Business Transacted by the Lincoln Land Company, at Cody, Wyoming, with respect to the one-half interest of Bronson Rumsey, Trustee, for the six months ending December 31st, 1928. 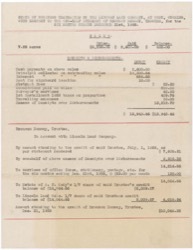 In Account with Lincoln Land Company.